The LA City Attorney said it wasn't opposed to charging him in the future. High-profile lawyer Michael Avenatti, best known as a critic of President Donald Trump and for representing pornstar Stormy Daniels, will not be charged for alleged domestic violence at this time. The Los Angeles City Attorney announced Friday that, after reviewing all of the investigative reports and considering all of the evidence in the case, it would not be filing charges against the lawyer. The case had been sent to the LA City Attorney for possible misdemeanor charges after the Los Angeles County District Attorney declined to file felony charges last year. 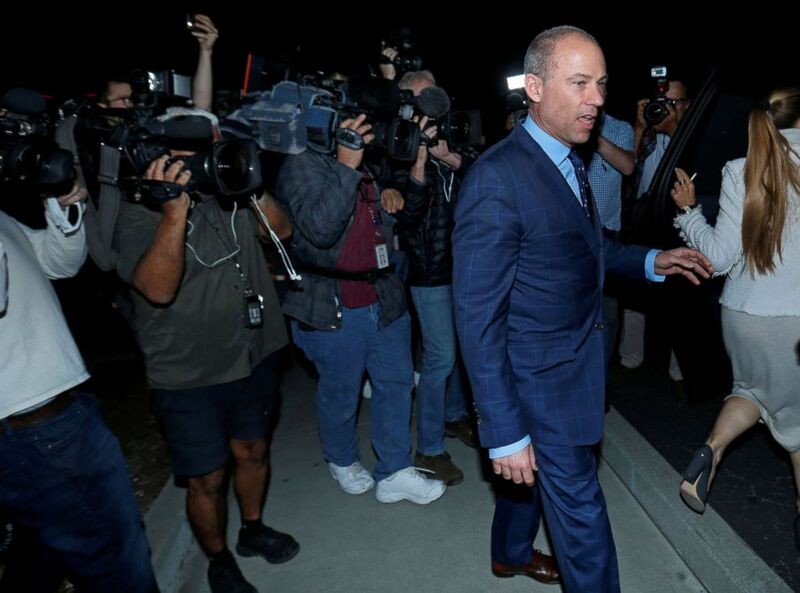 (Mike Blake/Reuters, FILE) Michael Avenatti, attorney for adult film actress Stormy Daniels, leaves Los Angeles Police Department Pacific Division after being arrested on suspicion of domestic violence, in Culver City, Calif., Nov. 14, 2018. Avenatti was arrested last November on suspicion of felony domestic violence. LAPD detectives booked Avenatti and he was released on $50,000 bond. Actress Mareli Miniutti, who received a restraining order against Avenatti, claimed in court documents that the two had been living together. She alleged that they were in an argument over money when he called her names, hit her in the face with pillows and dragged her across an apartment floor. Avenatti has always maintained his innocence. (Getty Images, FILE) Actress Mareli Miniutti arrives at a gallery event in West Hollywood, Calif., Sept. 27, 2018. However, the LA City Attorney is leaving the door open to possible future charges. Hearings have been set for Miniutti and Avenatti to give their sides of the story to the city attorney’s office. The case remains open and charges could be filed in the future. Miniutti’s attorney, Michael Bachner, told ABC News that he had been told by the LA City Attorney's Office that it believes Avenatti assaulted Miniutti but decided not to charge him because it was worried a jury would not convict him. The LA City Attorney’s Office said it had no comment in response to Bachner’s claims.